As the leading tactical pants supplier for law enforcement, 5.11 challenged themselves to bring you performance innovation beyond anything currently in the market and came up with the 5.11 Men's Stryke Pants w/ Flex-Tac. Flex-Tac is a revolutionary fabric utilizing proprietary fibers and developed exclusively for 5.11 Tactical. The 5.11 Stryke Pants features the lightweight, breathable, poly/cotton ripstop incorporates mechanical stretch yarns, meaning the stretch and recovery of the fabric is achieved without the use of spandex. As a result, the breathability, color retention, and durability of the Flex-Tac is superior to other cotton/spandex fabrics currently in the market. The 5.11 Men's Strike Pants is soil, stain, and fade resistant, and comes out of the wash ready-to-wear. 5.11 has redesigned the silhouette with a sleeker, faster look utilizing slanted inset side cargo pockets. 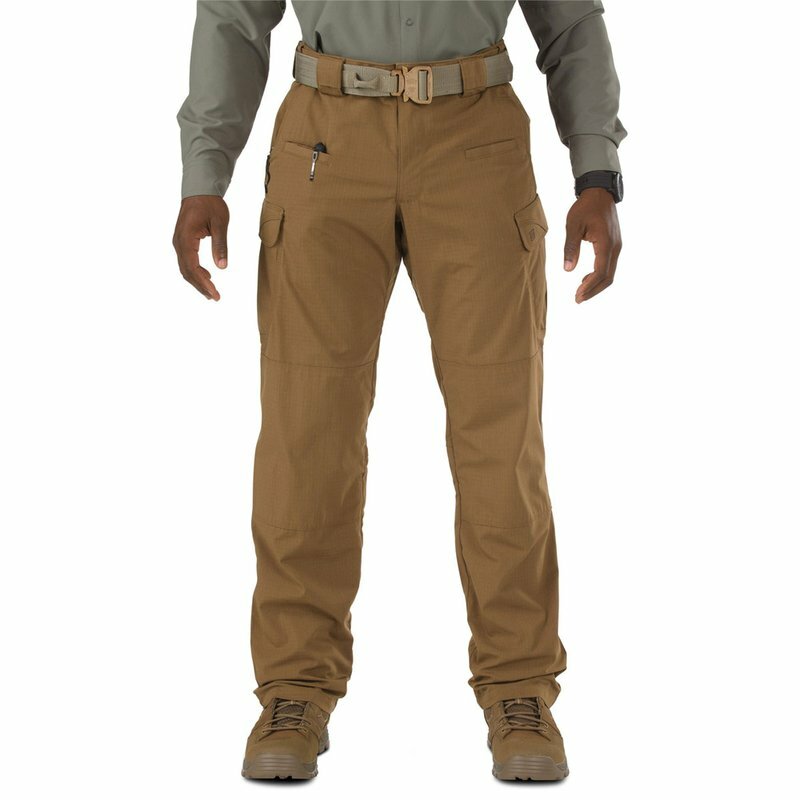 In addition to the thigh cargo pockets there are two off-seam side pockets, two accessory pockets on each side, and two back flap secured wallet pockets providing you maximum storage capacity. The knees are discreetly reinforced with knee pad access inside. The redesigned pants also feature a self adjusting comfort waist with a lower profile look providing maximum comfort and range of motion. Another nice feature of the 5.11 Strike Pants is the two front belt loops also double as a badge holder; nothing is stopping you from getting yours!